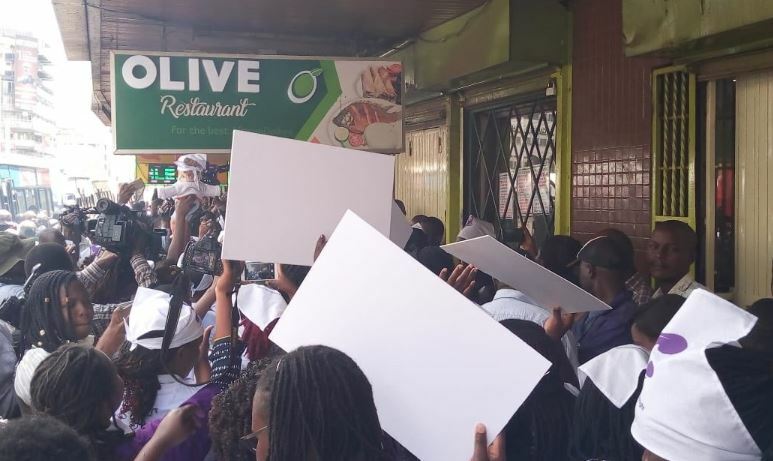 The management of Olive Restaurant in Nairobi on Tuesday finally apologised for curtailing a woman’s right to breastfeed in the premises. 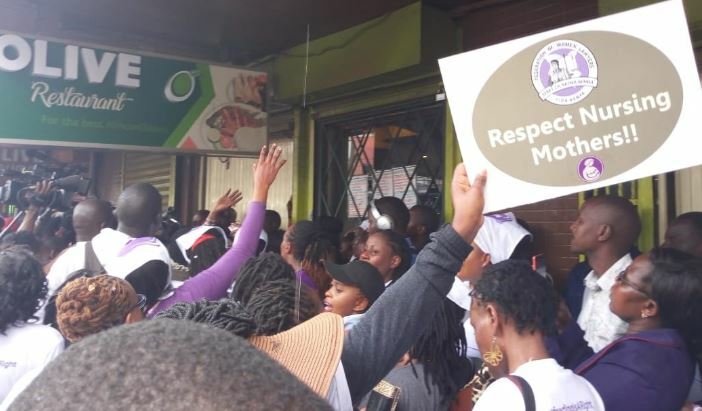 The restaurant’s manager, Moses K. Wambua, was forced to issue a public apology following protests by the Women of Kenya on behalf of their children on Tuesday morning. The establishment remained closed but there were people inside as the women protested outside. The women also marched across the city carrying banners while singing and chanting. “We will not breastfeed our babies in washrooms!” they chanted. They condemned the incident terming it an infringement on basic human rights. While the manager could not identify the waitress accused of asking the customer to breastfeed in the restrooms, he assured the protestors that investigations are ongoing and once identified, the offending employee will be fired. 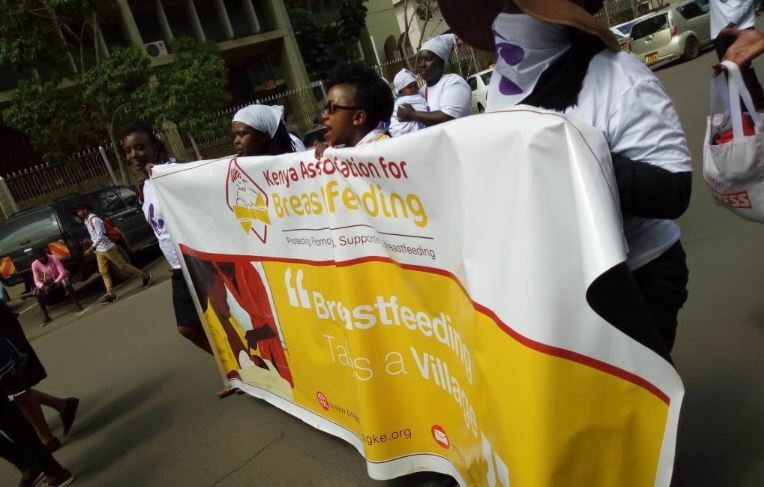 Wambua said they “don’t care” about women covering up while breastfeeding as even they went through this process. “They can even change their babies in the boss’ office. We don’t care. We are very sorry if this [the shaming] happened … we did not know … we learned about it on social media,” he said. On why it has taken them over a week to respond, Wambua said nobody stepped forward to complain about the matter so they were not sure it happened. 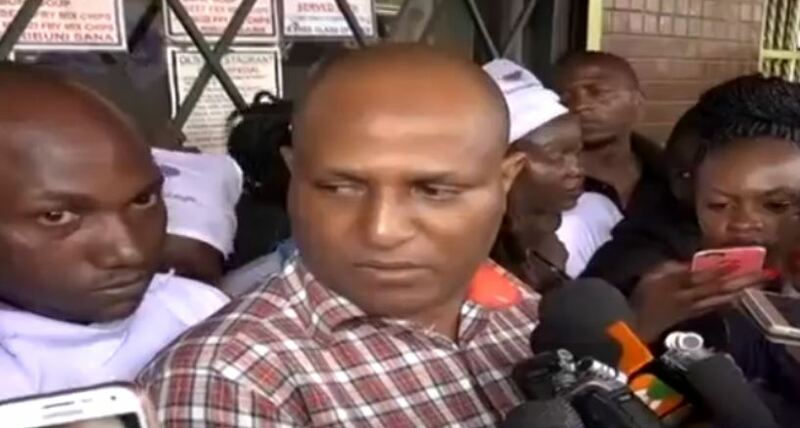 “I wish the aggrieved woman would come and point out for us the accused,” Wambua said. He added that they did not have CCTV footage to back the complainant’s claims. Wambua, who had a hard time explaining himself over the chants, indicated that the hotel has since established a nursing room in the premises. The protesters shouted that they had accepted the apology and then marched to Parliament to submit a petition on the matter. 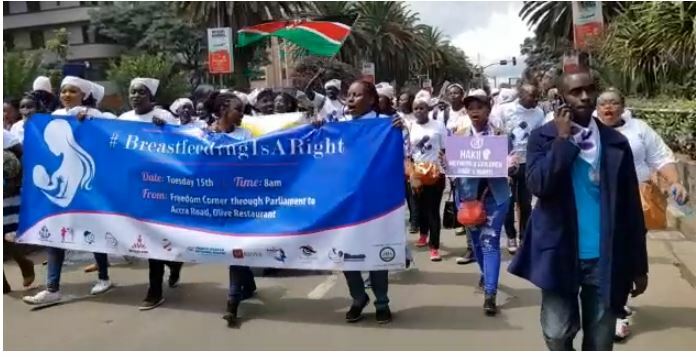 Led by County health representative Esther Kwamboka, the group presented a petition to the Cabinet Secretary for Health and the Nairobi County Government.